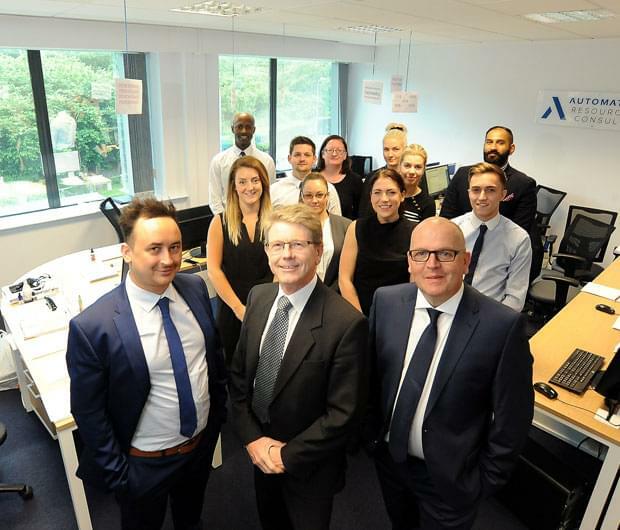 A West Midlands based automation recruitment firm has expanded into new offices in Solihull. Automation Resource Consultants (ARC) is a specialist recruiter to the controls and automation industry and has opened a new office at the University of Warwick Science Park’s Blythe Valley Innovation Centre. The firm, which had a turnover of £850,000 last year, has strengthened its team following the move and is expecting to recruit for itself further this year. ARC is led by directors David Blackwell and Charles Cureton and has made the move to the Blythe Valley Innovation Centre alongside sister companies, Metrix IT Recruitment, Live Social Media Ltd and book keeping specialists SumBookwork. Charles said the growth of the automation industry is one of the key drivers in ARC taking the decision to expand into a larger premises. “We’ve established ourselves as one of the leading automation recruiters in the UK and we are well placed to grow further from our new offices at the Blythe Valley Innovation Centre,” he said. David added: “We have recently completed a re-brand of the company and are in the process of launching a brand new fully functional website which will be truly unique to our business. “Operating in a technology driven sector made the move to the centre a natural one, given its strong links with the University of Warwick and the technological tenants also based here. Mark Homer, centre manager at the University of Warwick Science Park’s Blythe Valley Innovation Centre, said the centre is now close to being at full occupancy. “Blythe Valley is a great location for businesses to be based – and the strong occupancy levels at the centre is testament to this,” he said. “Automation Resource Consultants works with innovative clients across the UK, so being based here is a perfect location for them to connect with them.